"Information literacy is the ability to think critically and make balanced judgements about any information we find and use. It empowers us as citizens to reach and express informed views and to engage fully with society." We've based our guidance on SCONUL's Seven Pillars of Information Literacy model, splitting information literacy into six* components: identifying, scoping, planning, gathering, evaluating and managing (see the menu on the left) Alongside our own guidance and advice we'd trawled the web for some of the best information literacy videos out there. We hope you find these pages useful! If you have any feedback please contact us. Want to know more? Sign up for an Information Literacy LibSkills tutorial with one of our expert librarians, and earn 5 Employability Award points in the process. * The seventh component, presenting, is covered by the Academic Literacies attribute. Information Literacy is one of six Graduate Attributes which, alongside subject expertise, you are encouraged to develop during your time at BGU. The idea is that you graduate not only with a qualification but an additional set of skills to help you succeed in the outside world. 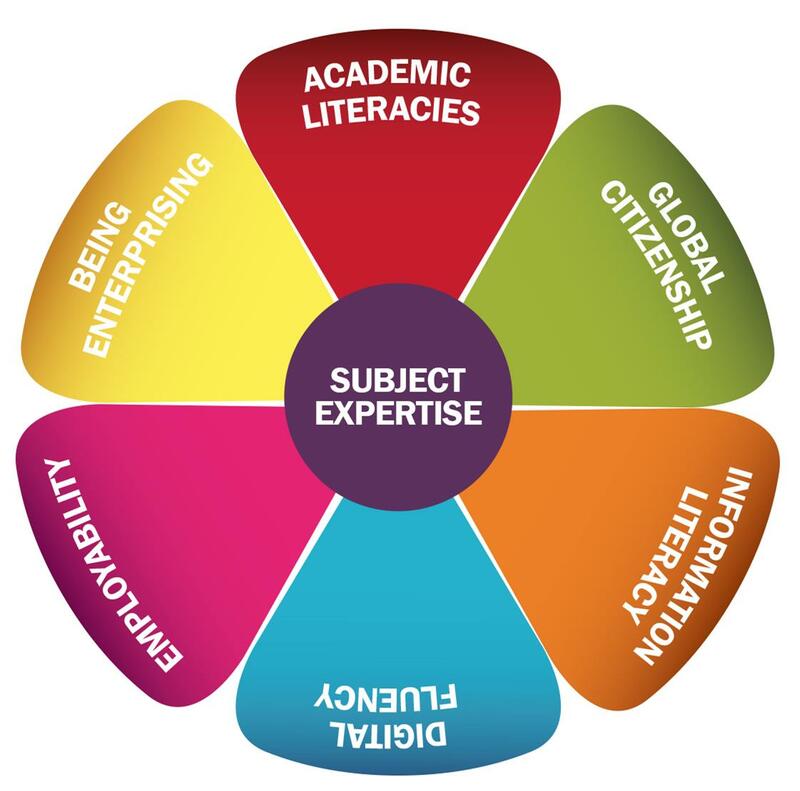 The graphic on the left is used around BGU to promote the initiative and highlight the six attributes: information literacy, digital fluency, academic literacies, global citizenship, employability and being enterprising. Each attribute is championed by a different University department (you guessed it, we're the champions for information literacy!). Find out more about Graduate Attributes by clicking on the graphic.